Unusual Kentucky: Killer Pleads "Caffeine Insanity"
This from WXIX-TV: " A Northern Kentucky man accused of strangling his wife is poised to claim excessive caffeine from sodas, energy drinks and diet pills left him so mentally unstable he couldn't have knowingly killed his wife, his lawyer has notified a court." According to the story, Woody Will Smith, 33, goes to court today for the May 2009 death of Amanda Hornsby-Smith. Woody's attorney, Shannon Sexton, has filed notice with the court of the defense's intent to argue that Mr. Smith was rendered "temporarily insane" because he ingested large quantities of caffeine for several days before he snapped. Sound idiotic? Of course it does. And yet, it's not impossible that Smith may walk. 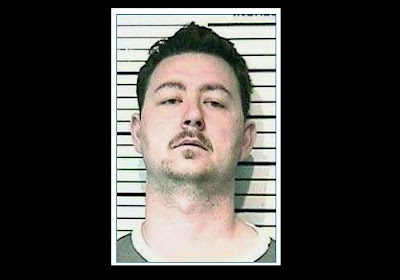 In 2009, a man ran down two WSU students in his car, pleaded insanity induced by having consumed two cups of Starbucks coffee, and got away with it. According to the News-Tribune, Smith used an extension cord to strangle his wife, then used extension cords to bind her hands and feet together. Smith claims to have been drinking a half-dozen soft drinks and energy drinks per day, plus diet pills. Prosecutors, meanwhile, say they can prove Smith is lying, and that their own medical expert is prepared to testify that there was no evidence Smith had consumed diet pills or energy drinks. While the facts of this case are certainly interesting, I don't know if there's anything particularly special about the nature of the insanity defense that the defendant is raising in this case.